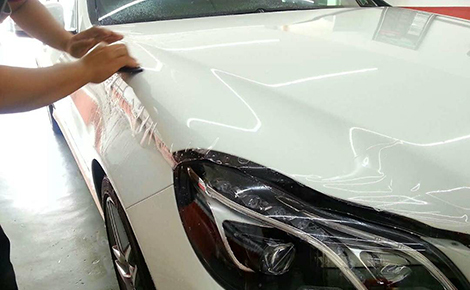 DuraShield Titan XT paint protection film is highly-engineered to protect vehicles from stone ships, bug acids, and many natural environmental hazards that can damage painted, chrome and acrylic surface. Flexcoat adds another significant quality. Scratches are less od a nuisance today than they were when automatic brush car washes created their share of swirl marks. 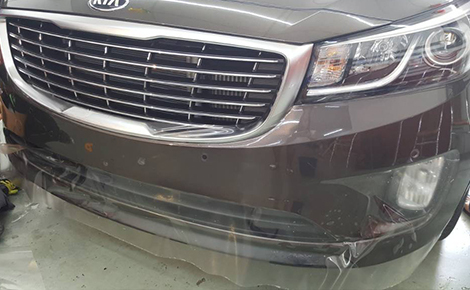 On occasion, PPF may still come I contact with road or people hazards that may scratch its surface while protecting your vehicle surface from costly damage. Titan XT’s self-healing properties shows successful removal of minor scratches with heat or sun exposure over time. Deeper, stubborn scratches can be easily hand or machine-polished to restore the film to its original finish. Squeegee scuffs are a thing of the past with Titan XT. Any installation scff marks easily wipe away. FlexCoat links cohesively with the urethane body to provide simpler, easier installations. Desirable installation qualities reduce labor time by 15-20% (as reported by professional installers). Low friction surface expels application solutions faster and more efficiently. Edges seal and bond faster, saving install time. Titan XT molds into valleys and difficult installation areas with less effort. Let’s face it, it’s not possible tp pull over onto the side of the road to wipe off bug splats and other stains whee they occur. Our stain resistance texting goes way beyond the Sharpie 5 minute test. Easily comes off with soap and water, isopropyl alcohol, or even a dry cloth. 91% Isopropyl alcohol or Clorox Clean Up removes all appearance of stains and residue. UV ecposure can break down stain resistance in many films. With Titan XT, all signs of stains on UV exposed film are completely removed. Titan XT’s distinct manufacturing process and quality components uniquely create an unsurpassed, enduring optical clarity. High gloss levels, super-smooth liner and a protective interleaf create beautiful film clarity from start to finish. Crosslink technology creates an impervious surface keeps out contaminants which may cause discoloration. UV inhibitors work to block out harmful UV rays so the film looks as positive as the day it was installed. Bug splats, water spots, bird droppings and road tar no match for Titan XT resists even the toughest stains left on for longer time periods. Titan XT provides effortless clean-up for a clear, glossy surface. Titan XT is the proven leader in stain resistance.